On the Radiant Shadows book tour, Melissa Marr will be discussing the details of the upcoming Wicked Lovely movie at each stop plus there will be an opportunity to ask those hot-on-your-mind questions about the characters from the series. So, if your near one the locations below, now is your chance to meet Melissa and have those questions answered. Go, if you can and have fun! Leave a comment with your casting suggestion(s) for the Wicked Lovely movie or name your favorite character from the Wicked Lovely series. Leave your email with your comment if it isn't part of your profile. Deadline to enter this giveaway is Friday, April 9th at 8AM CST. Media Masters Publicity will be mailing Radiant Shadows to the winner. Her covers are gorgeous! Have her first two books in my TBR, I really need to get to readin'! Can I still have an entry? I'm quite sure winning this book will inspire me to spend some hard earned cash to get the others, wink. 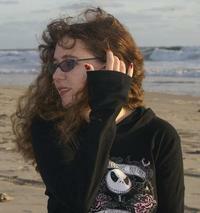 I love Melissa Marr! She is coming to Richmond! Yay! That's near me. My favorite character is Seth. I don't know why, but I just love him. I really want them to work out. Please enter me in the giveaway. But my favorite character is Aislinn followed close behind by Seth! For me they would make the best for those character. I dont think any of them really fit it I think they would have to search for new talent. My favorite character is definitely Seth. As far as casting, I hope they find up and coming actors so that I don't have opinions attached before the movie even starts. I spent half of Twilight thinking of Edward as Cedric from HP. I think Keenan is hot but he gets on my nerves at times so I will go with Seth who is a really likeable character. I'm a Seth fan too. I think a great actor to play him would be Jake Gyllenhaal. Looking forward to meeting Melissa at the RT Convention. If I win this book, I can get her to sign it! I really don't know who I'd cast for the movie. But I do love Seth. 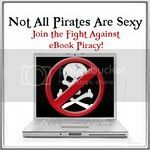 Just popping in to say this is posted at Win a Book for you. Cant wait. Its such a great series. My favorite characters are Seth and Leslie. I read WL as a free read at HarperTeen. I loved it so much that I immediately purchased IE &WL. My first exposure to Marr's books and I was totally captivated. Look forward to devouring FE (which I have on my shelf waiting) and Radiant Shadows. and Vanessa Marano(also had 'tude down pat. Aislinn from Wicked Lovely is my favorite. She's awesome. I was thinking Johny Dep and Angelina. I think my favorite character is either Seth or Niall. 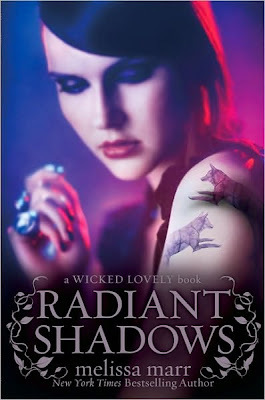 Love the cover for RADIANT SHADOWS! Unfortunately I haven't read this series so I have no idea who my casting suggestions would be. Crazy that they're making another movie based on a YA series. It's almost like they're conquoring the world. Seth all the way!! Sooo awesome!! I don't know who I would cast, I'm so bad at these kinds of things. I love this series! I think Niall is one of my favorite characters, although I have no idea who should play him in the movie. Great review. I haven't read any of Melissa's books but have added to my wish list. I would love to read Radiant Shadows. I think Donia is my favorite character. She has loved, been hurt by it forgiven, tried to love him again and been hurt again. She stands strong and true to herself. I'd like to see where this character goes. Have read the first 3 would love to get win this 4th book. I agree with Cathy, Donia is my favorite character, I think she has some real depth. I'd like to see Ellen Page in the movie. I really enjoyed the first two books and just picked up Fragile Eternity last week. My favorite character is definitely Seth. I have no idea who I'd cast as Seth, but like someone else mentioned, I'd vote for a little known actor or a new actor. My favorite character is Aislinn. Mind Games by Carolyn Crane – Winner! Angelology by Danielle Trussoni – Winner! Shade Fright by Sean Cummings – Winner!